This is the second day of an oprional two-day workshop. 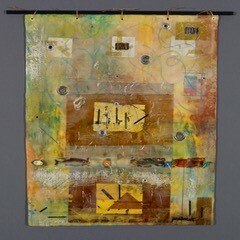 If you wish to take BOTH days, then you must also select "Paper Collage with Encaustic (Day 1)". This is day 2; we will bond the collages to soft supports such as cotton quilt batting, oil-absorbent sheeting, and a type of soft roofing material. Additional means of imparting design such as encaustic paints and image transfers onto these soft supports will also be explored. 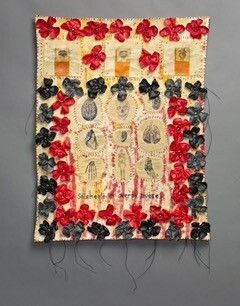 We will experiment with post-collage sewing as a linear element as well as attachment for other media. 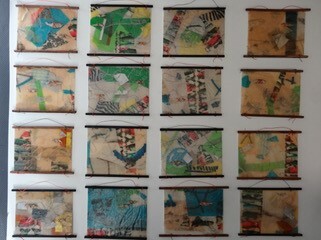 Hanging ideas will be discussed and demonstrated.